CDC (cul-de-canard) feathers are one of the most popular fly-tying materials. CDC's water-resistant properties make it particularly useful for tying dry flies, emergers, and nymphs, especially in small sizes. Tying Flies with CDC brings together the CDC patterns and tying techniques of creative, innovative fly tiers from around the world. 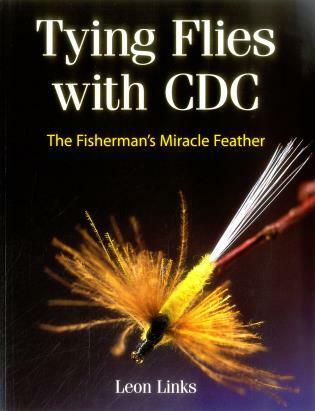 The book has background on CDC, how it was used in the past and how it is used today, and tips on fishing with CDC flies. Leon Links is a fishing journalist and teacher in Amsterdam. He was first introduced to CDC in the early 1980s by fellow Dutch author and angler Kees Ketting and has since become and enthusiastic convert to CDC flies.